I love this dish! 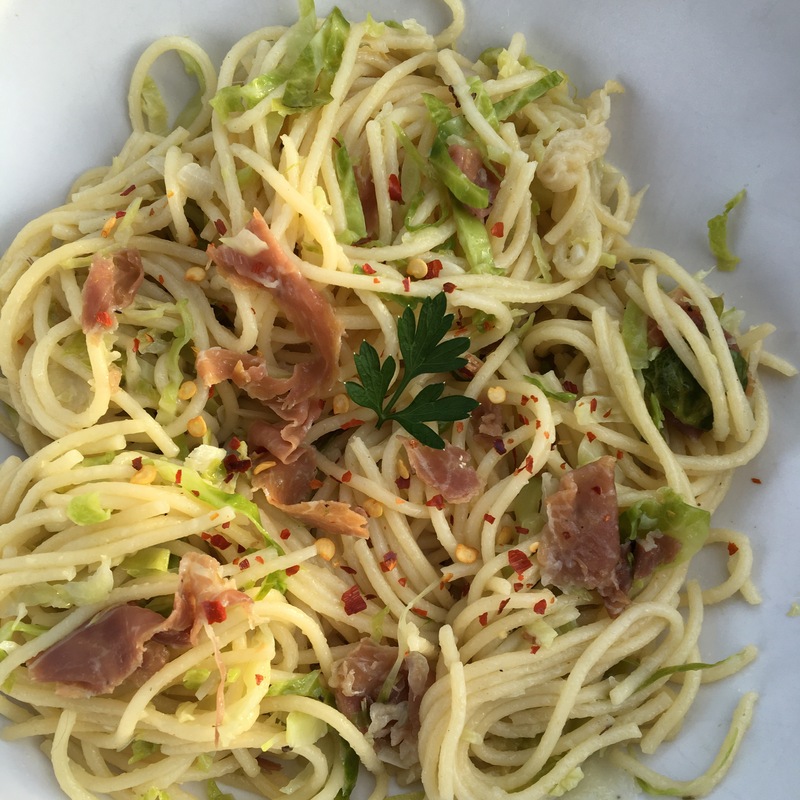 The shredded Brussels sprouts add a freshness that perfectly pairs with the salty prosciutto! I got the inspiration from my Thanksgiving Brussels sprout slaw- I just love them with a cured meat flavor. This is pretty straightforward to make, but I think it’s the perfect light summer pasta dish! Start cooking the pasta according to directions. When al dente, reserve 1/2 cup pasta water and drain. In the meantime, loosely slice the prosciutto into strips and chop the Brussels sprouts similarly. Heat the olive oil in a large pan. Add the garlic and red onion and stir for about 2 minutes. Then, add in the Brussels sprouts, salt, Rosemary, and red pepper. Add the broth and prosciutto and let cook for about 5 minutes or until the Brussels sprouts are tender. Then, stir in the pasta and reserved pasta water. Finish with the butter and more salt to taste. Once warmed through, serve and enjoy! Previous Previous post: Day 137: Vegan Rice Krispies!